(CNN) — Archeologists have spent centuries wondering how the towering pyramids of Giza were constructed thousands of years ago. Now, the discovery of a sophisticated ramp system has put them one step closer to solving the mystery. 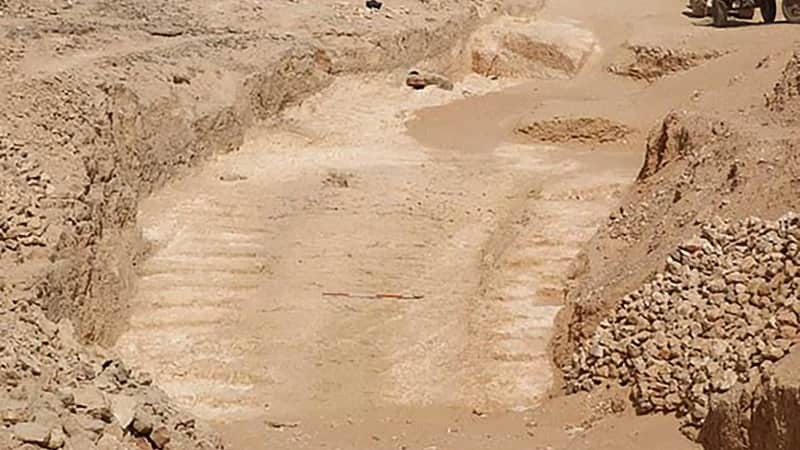 The remains of the 4,500-year-old ramp was found at an alabaster quarry — of the same period — in an Egyptian desert by a team of researchers from the University of Liverpool, UK, and Cairo’s French Institute for Oriental Archaeology. 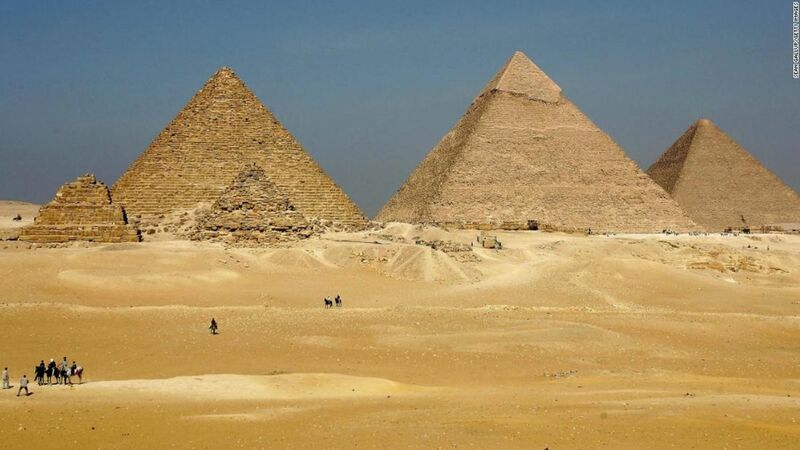 The Hatnub quarry discovery dates back to the reign of Pharaoh Khufu, who commissioned the Great Pyramid at Giza. It offers researchers “further insights into the logistics and technologies used in” the construction of one of the Seven Wonders of the World,” Roland Enmarch, an Egyptologist who worked on the project, said in a statement. While the theory of a ramp system has been made before, what the Anglo-French team’s discovery of postholes suggests that the heavy alabaster blocks were being hauled up at a far steeper angle than previously thought. “Using a sled which carried a stone block and was attached with ropes to these wooden posts, ancient Egyptians were able to pull up the alabaster blocks out of the quarry on very steep slopes of 20 percent or more” Yannis Gourdon, from the French Institute for Oriental Archaeology in Cairo, said in a statement. The post holes, which lined the sides of two sets of stairs that flanked the central ramp, were tied with ropes and helped alleviate the burden of workers of hauling the massive white stone blocks, according to a press release. Researchers told the Guardian that the workers were able to pull the blocks from both directions with the help of the post holes, rather than dragging the stones from behind them. In 2017, Egyptian archaeologists made headlines around the world when they unearthed a 30-meter-long space hidden within the limestone and granite walls of the Pyramid of Giza. The Pyramid of Giza sits 139 meters (about 455 feet) high and was built around 4,500 years ago. It’s the largest of the group of pyramids at Giza, the oldest of the Seven Wonders of the Ancient World, and a major tourist attraction.